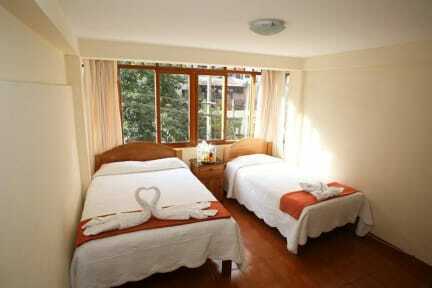 Located in the city of Aguas Calientes, Hostal Ollantay offers all the comforts of home in a rugged environment. Carpeted rooms with bath, hot water, and TV provide a welcome retreat from the austere surroundings. 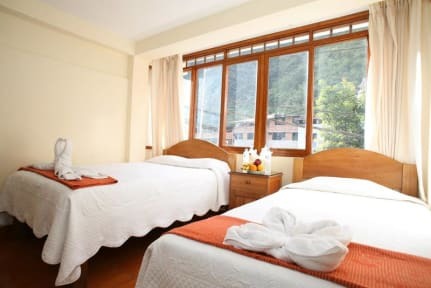 Out your window, you can enjoy a beautiful view of the Aguas Calientes River, set among the magnificent natural surroundings of the area. Check in time form 10am.